Add all the convenience of drop-free, box magazine to your favorite Remington 700 BDL. Spring-loaded finger latch inside the triggerguard drops the box magazine free, speeds loading and unloading. Made from durable stainless steel and finished with bake-on, matte, black Teflon® coating that’s self-lubricating and resists scratches and wear. Updated version have positive locking springs on the bottom of both sides of the floor plate (holds the magazine box securely in place without the rubber o-ring), a polymer boot on bottom of box (easier to remove), and a guide slot and larger rear catch on back of box (ensures proper latch). AICS is the acronym used to describe the Accuracy International Chassis System for the Remington 700 Model Rifle. 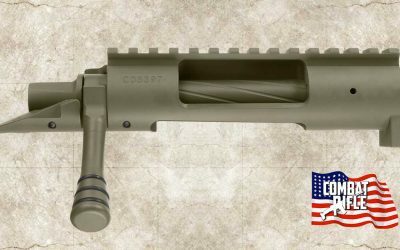 It was designed by and for competitive shooters for for long range competition and military applications. One of the biggest drawbacks of the AICS has been the cost of the magazines at well over $100. Well that is about to change. 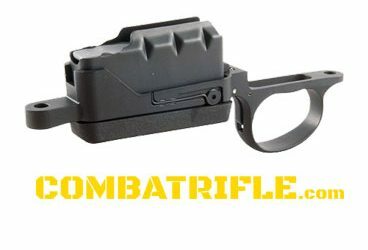 Magpul has once again done what they do best and introduced a magazine, the PMAG® 10 7.62 AC – AICS Short Action. 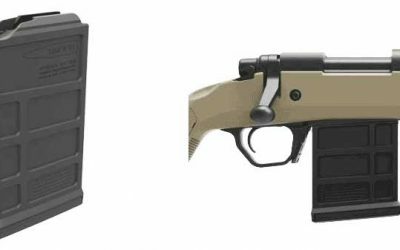 If the PMAG® 10 7.62 AC – AICS Short Action proves reliable in the field it will no doubt at $35 be a game changer for Remington 700 and AICS shooters.